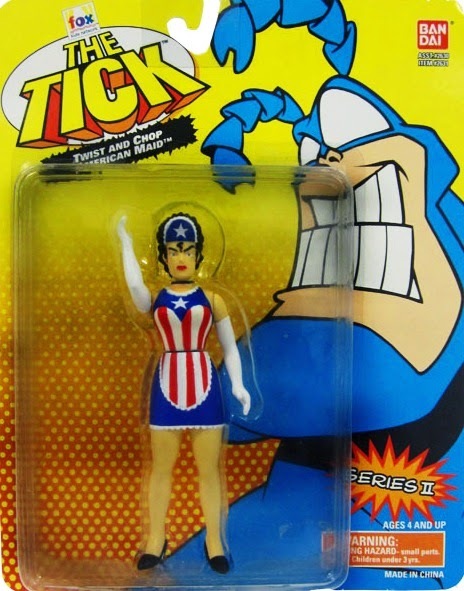 She's Fantastic: The Tick's AMERICAN MAID! Happy Memorial Day! 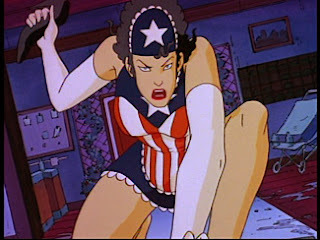 I had a whole list of patriotic characters to potentially review today, but American Maid was the winner. The Tick: The Animated Series introduced the mainstream world to a wonderfully wacky world filled with puns and absurd heroes. 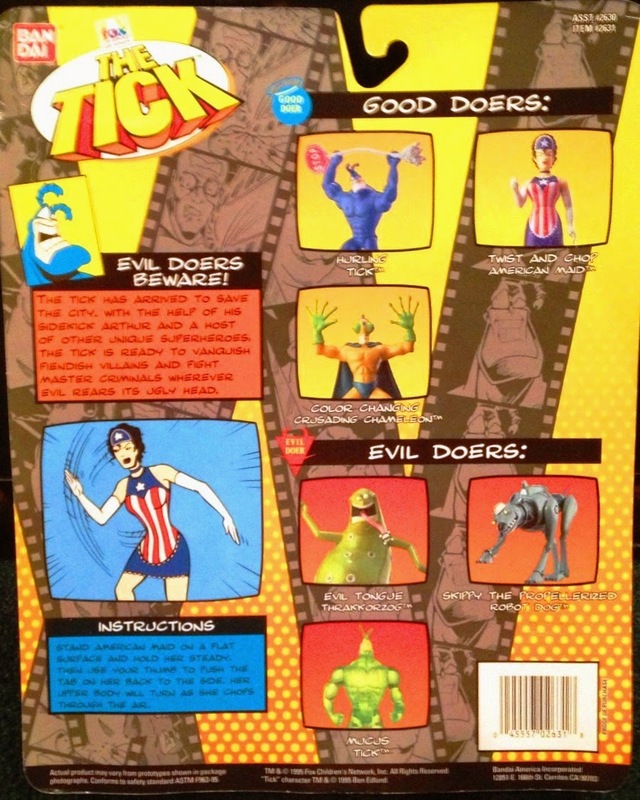 In reading the wikipedia page right now, I learned that The Tick was created as a comic store newsletter mascot in 1986. New England Comics, the store chain he was created for, soon began publishing The Tick in his own comics and a legend was born. 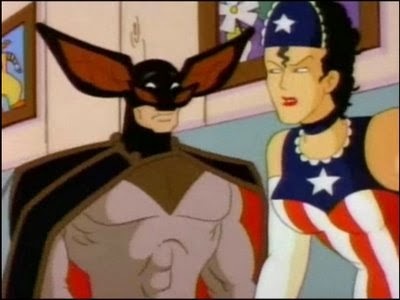 A lot of the characters were parodies of popular Marvel and DC characters. 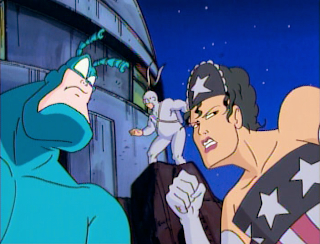 American Maid was no exception and is considered a blended parody of Captain America and Wonder Woman. 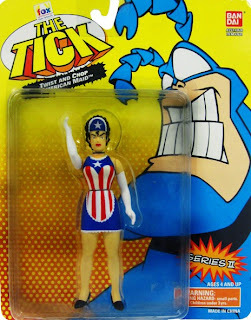 She was a reluctant ally of The Tick and initially preferred to fight crime alone -- with her weaponized high heels and tiara! Plus she loved disguising herself to infiltrate the bad guys. All-in-All, she was an amazing heroine. Bandai's representation of her is pretty much perfect, too. Let's check her out below! American Maid has a "Twist and Chop" action feature. Similar to a feature I've seen on old Super Powers figures, when you twist her at the waist, her right arm raises and lowers in a chopping motion. Here are some images of her from the cartoon.